CLEC site stage 2, Docklands Park by MALA Studio. 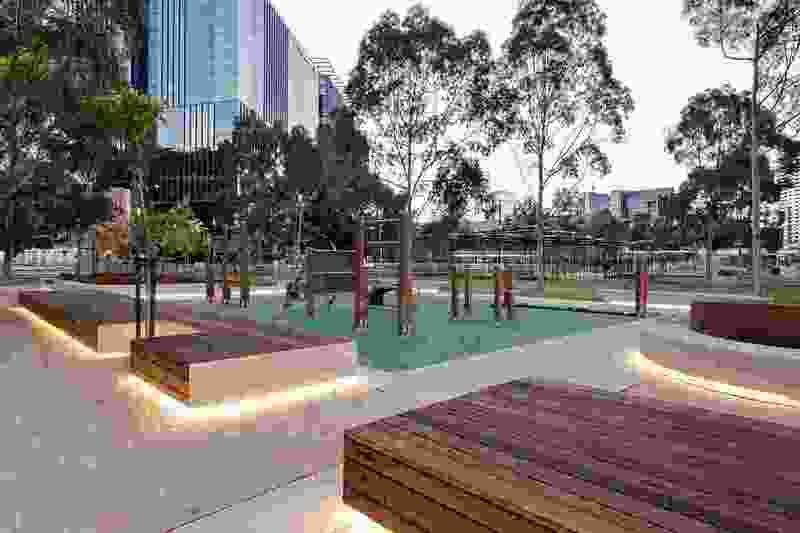 From the landscape architect: A new recreational and cultural public space has been unveiled to the public in Melbourne’s Docklands. 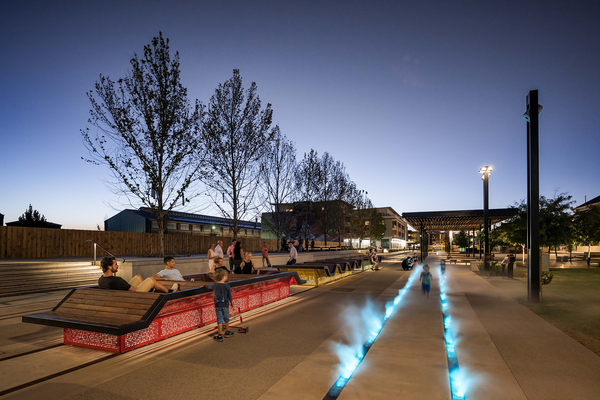 The project is the latest from MALA Studio, which designed and developed the Community, Learning and Education Centre (CLEC) site masterplan for Development Victoria and the City of Melbourne. 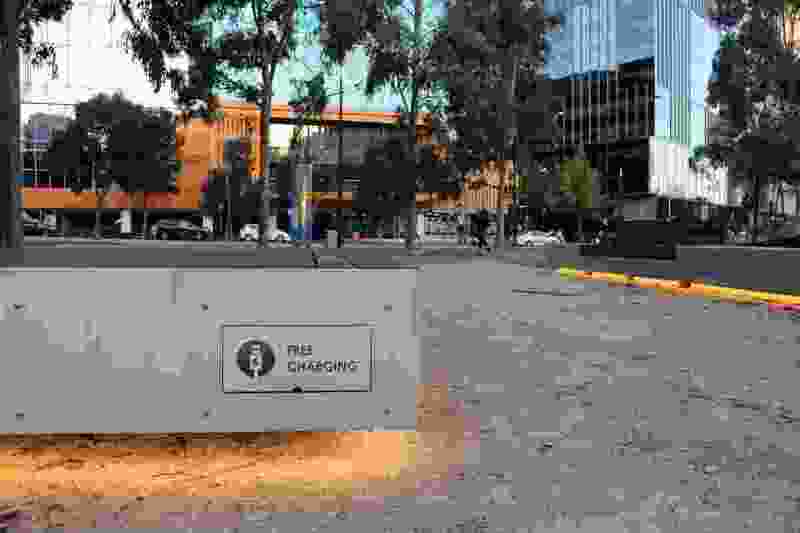 The awkward triangular site, one of the last slithers of undeveloped public land in the precinct, consisted of a series of dilapidated and disconnected buildings, plazas, courts and artworks. 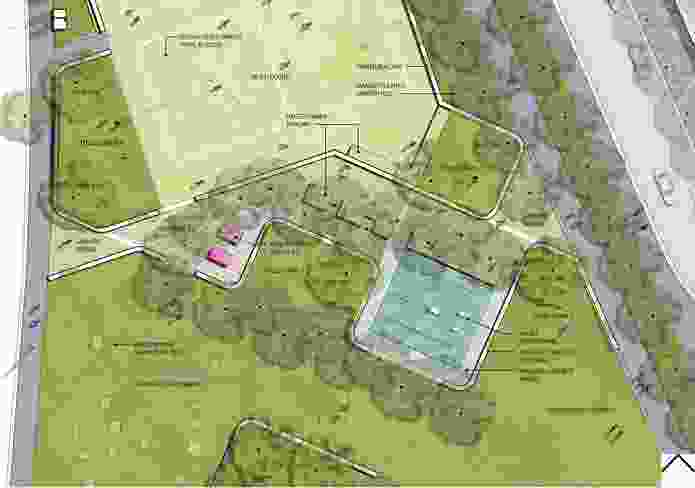 The site also contained a high-pressure gas easement which effectively divided the site into two portions. CLEC site stage 2 masterplan by MALA Studio. The masterplan aimed to unite the site and connect it to the surrounding Docklands Park by enhancing green space, reconfiguring existing elements, and creating new pockets of activity. The recently completed park marks the second stage of the project and comprises a multi-purpose sports court, exercise stations, ping pong tables, daybeds, seats, gardens and green open spaces. 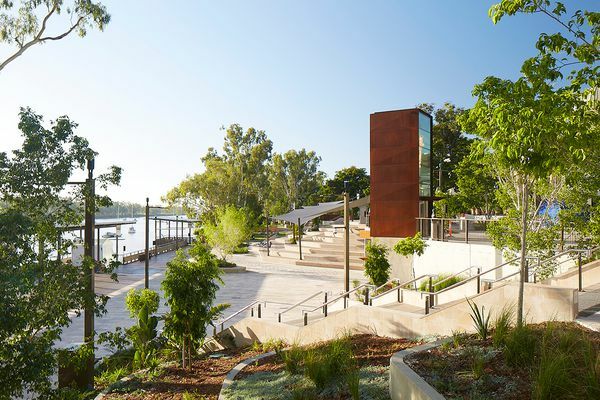 The site also houses Amanda Levete’s 2015 MPavilion, which was relocated during stage one of the project. 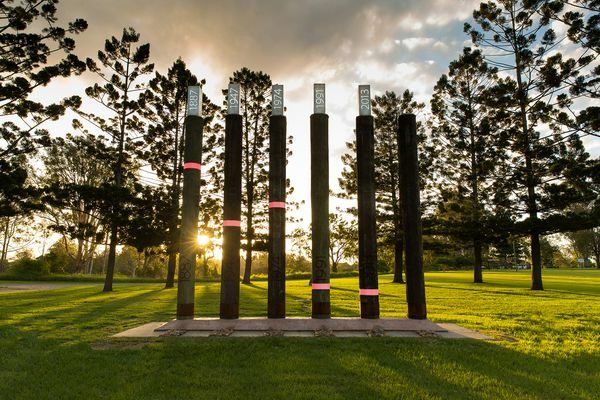 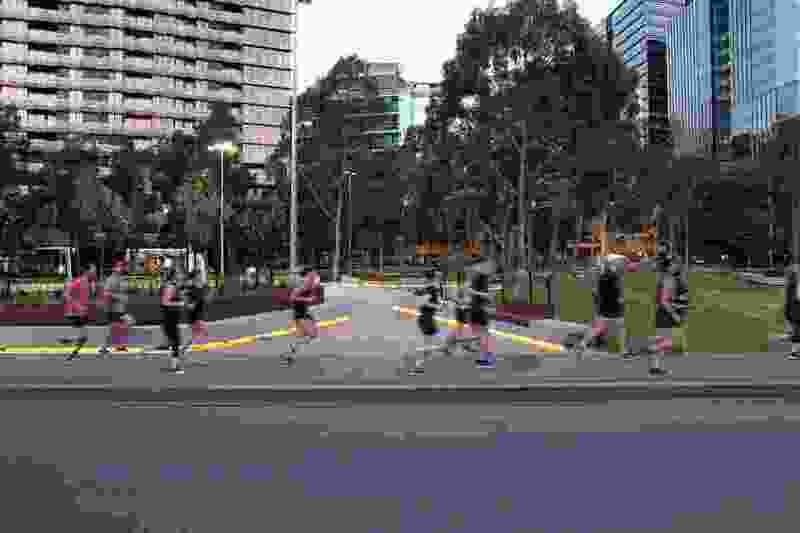 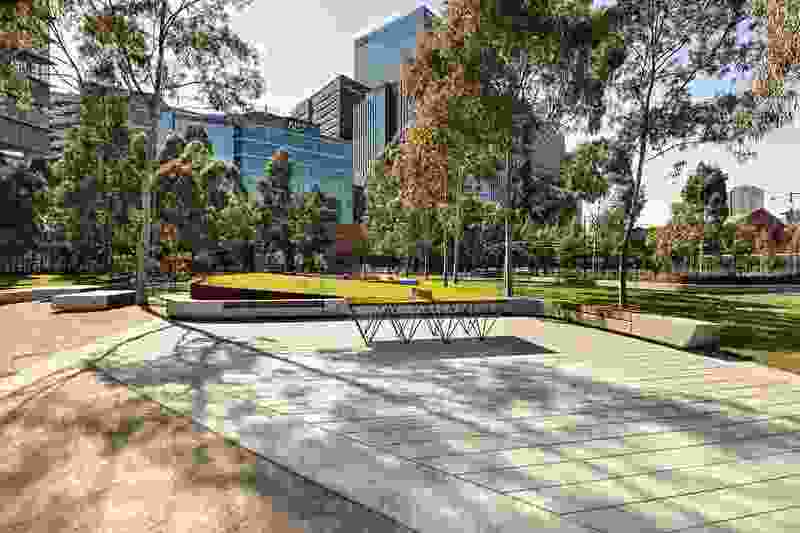 The project is one of Melbourne’s new generation of “smart parks,” and offers free wi-fi and phone charging stations throughout the precinct. 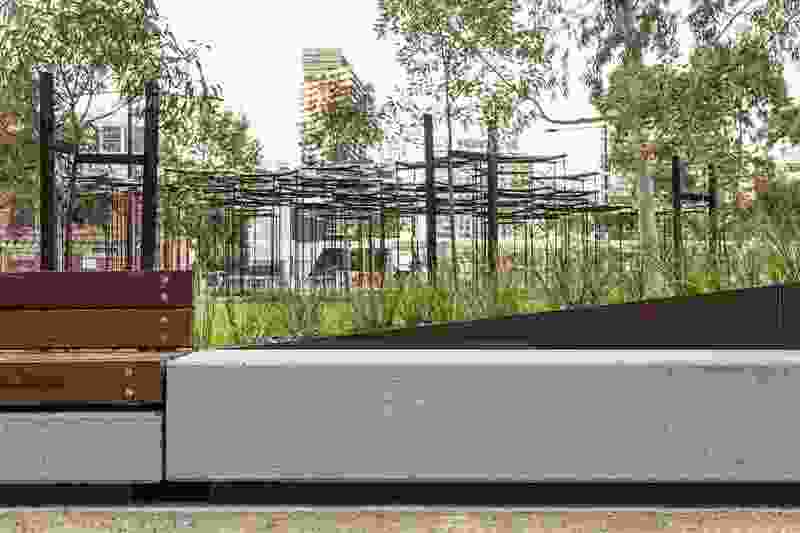 Also hidden within the park are weather and data collecting instruments. 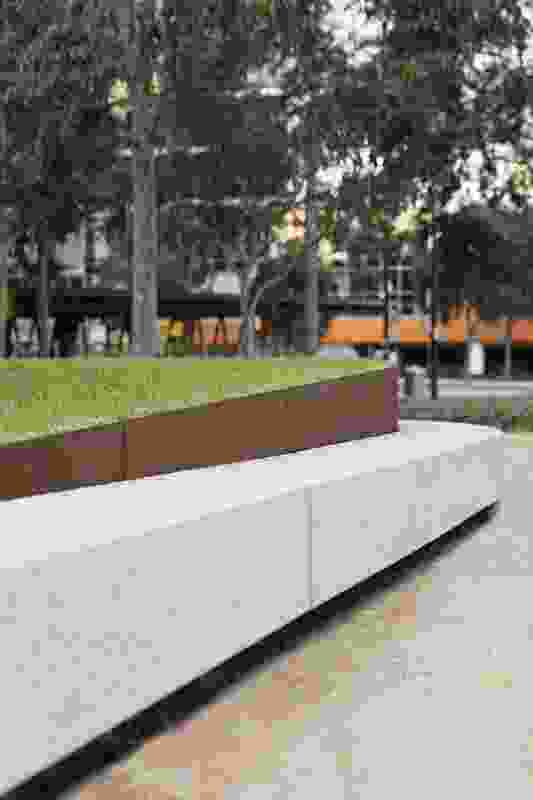 However, even with this technology, ingrained within the project is an expression of the site’s unique and contextual history. 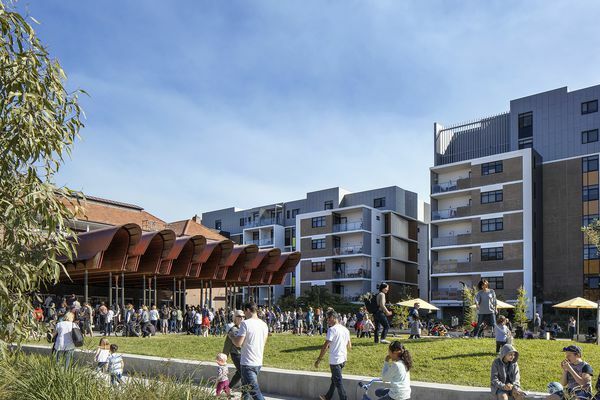 All the timbers used in the project were salvaged from the recently demolished Docklands North Wharf, less than 400 metres from the CLEC site. 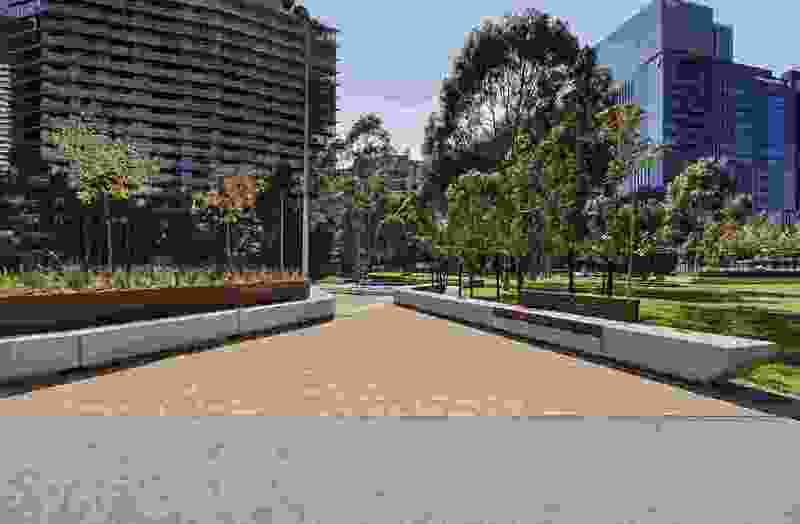 North Wharf was historically significant with local engineers opting to experiment with Australian hardwoods (such as Jarrah, Red Gum, Iron bark, and Yellow Box) rather than imported European timbers, which were more commonly used at the turn of the century. 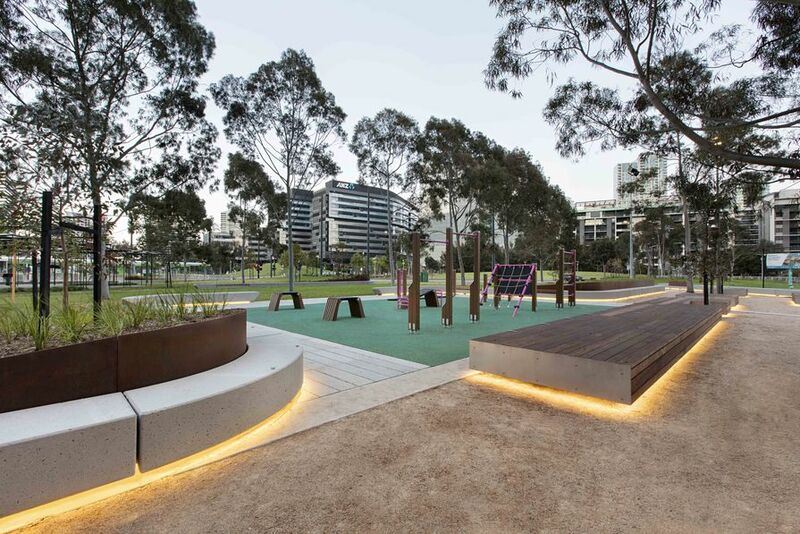 Through careful planning and collaboration between the client, builder, timber merchant and landscape architect, salvaged timbers were graded, reconditioned and repurposed as the customised seats and daybeds within the new park. 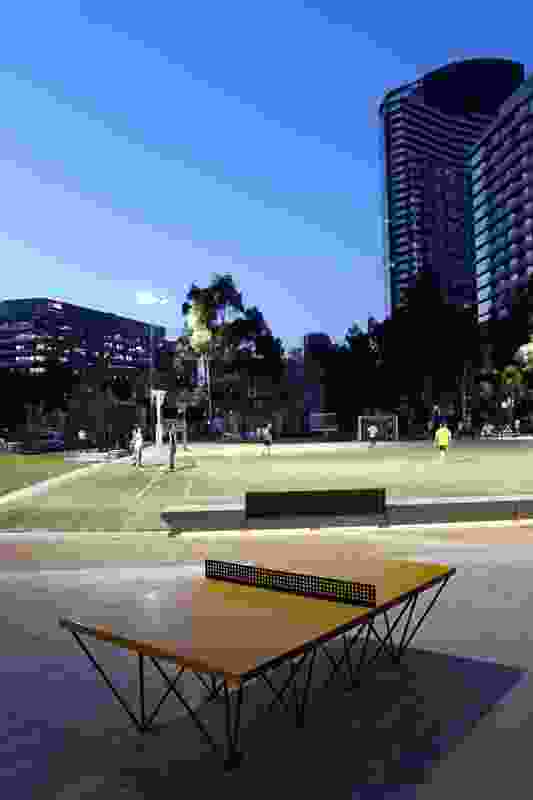 The second stage of the CLEC site has provided a dynamic, fun, and playful facility. 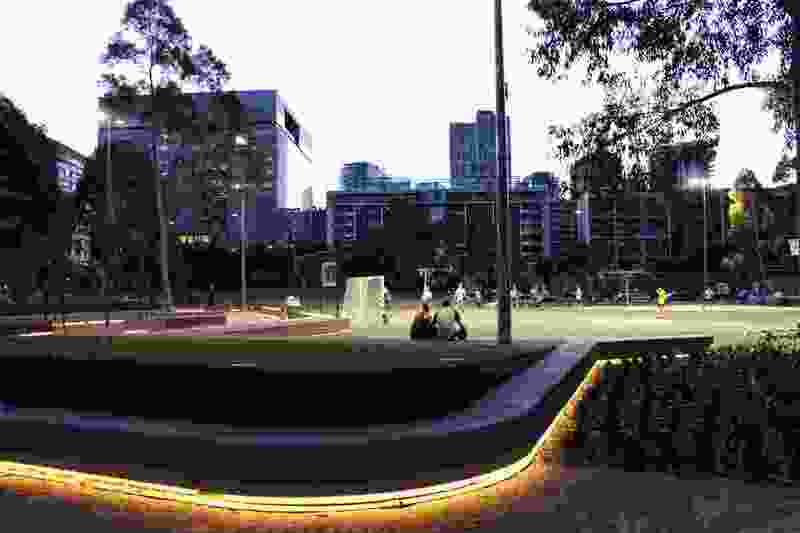 It allows another generation of city goers an outdoor Melbourne jaunt with a tasty side of history.